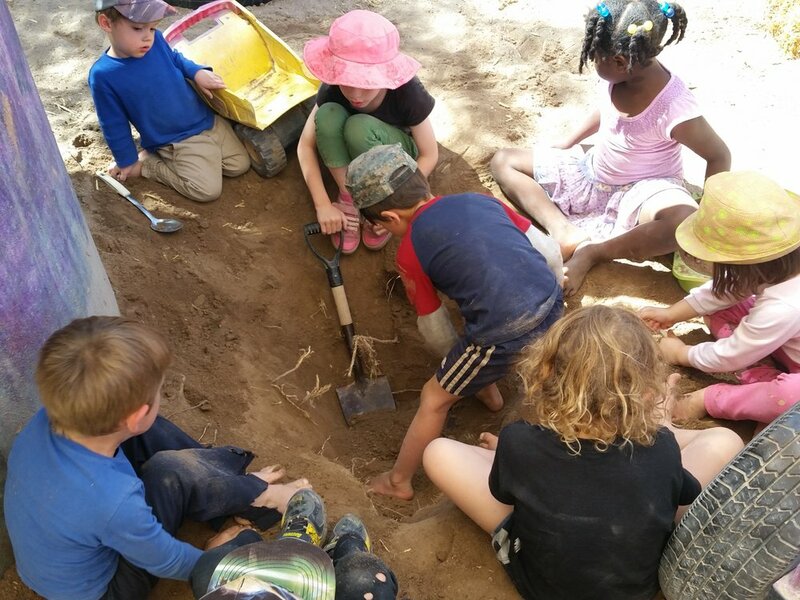 At Downtown Community School we define PLAY as: To engage, discover, explore, experiment, try-out & try again, take risks, tinker with, create, get messy and to be yourself. Each day at DCS facilitators provide numerous opportunities for children to PLAY in and with their environment. An intentional and carefully curated environment, facilitators understand and honor the intrinsic motivation young children possess. The Positive Psychology concept: Flow, is at the forefront of our curriculum. Flow, or The Zone is the human ability to completely immerse in a task, not by force, but by intrinsic motivation met with a meaningful experience. Cutting-edge research tells us that meaningful and connected experiences in early childhood supports academic and emotional success later on in life. A stimulating and safe physical and emotional learning environment. Risks are encouraged, with an intentional focus on engaged play and healthy relationships. Research shows that young children develop body awareness and self-confidence when exposed to environments where physical risk taking is encouraged. When children feel safe and connected, mistakes are seen as opportunities for growth and learning leading to perseverance and heightened sense of self-confidence. We believe that children learn best when they are emotionally supported in an environment that is rich with opportunities for exploration and experimentation. At DCS self-expression is encouraged and celebrated. The journey of self-discovery starts early and continues throughout life. We believe children learn best when their experiences are meaningful and relevant. At DCS children learn and grow at their own unique rate through creative experiences within relationships, process-art, and exposure to a variety of interesting, open-ended materials and tools. We are honored to support children as they make sense of their world. We focus on whole-child development with the deep understanding that development happens over time and is unique to each child. During their time here, children take physical, creative, and emotional risks. They solve complex problems, and make meaningful connections with peers and adults. These experiences equip them with confidence and a willingness to try new things without fear of failure. Children leave DCS with a growth mindset and life skills vital for collaboration, negotiation, conflict resolution, and connected interactions with others. They are supported as creative thinkers, innovators, and independent learners and gain invaluable tools for emotional and academic success, not just in school, but also in life.